This nickel locknut or valve stem nut secures the valve stem to them wheel. This is a nickel lock nut for bent metal stem tubes. Use with 1920-1933 model year vehicles with Disc or Wire Wheels. We also offer custom car tire valve caps in the accessories section. 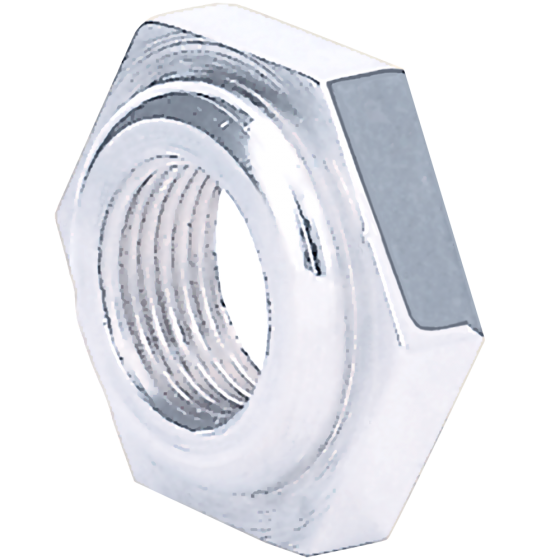 what thread is this nut? This is made for use with our bent metal stem, 28 threads per inch .406 inch diameter.